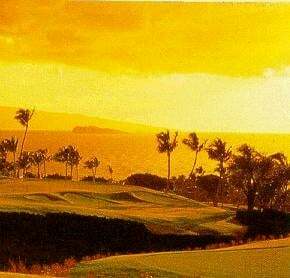 Nestled in a Dramatic Setting of Emerald-Green Velvet Fairways and Rolling Tropically Manicured Grounds – with Magnificent Ocean Vistas of the Sparkling Blue Pacific – the ‘Champion’ of condominiums awaits the Seasoned Traveler in Maui’s Premiere South Shore Vacation Destination of Wailea. The Distinguished Grand Champion Villas showcase Designer-Decorated Spacious Condo Suites in an Exclusive Country Club Atmosphere&ldots;adorned with beautiful Gardens, Pools & Whirlpools. Breathtaking Sunsets will Dazzle your Senses from the Private Lanai of your own 1 to 3-Bedroom Maui Condo Vacation Rental. Deluxe appointments of your Tropical Island Getaway feature Majestic Ocean or Garden Views, Fully-equipped kitchens, Color-Cable TV, VCR’s, A/C and In-suite Washer/Dryers. Additional Resort Amenities awaiting your vacation pleasure showcase adjacent Championship Golf & Tennis, nearby Award-winning beaches and World-Class Shops & restaurants just moments away. Welcome to the Dramatic Grand Champions . . . 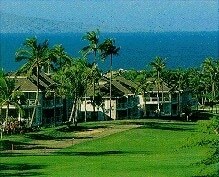 Distinguished Villas in a Country-Club Setting, in Maui’s Premiere South Shore Vacation Destination of Wailea. Your Distinguished Wailea Resort Vacation Getaway features your choice of Elegantly appointed 1-Bedroom/2-Bath Maui Condo Rentals that are approximately 1000 Sq. 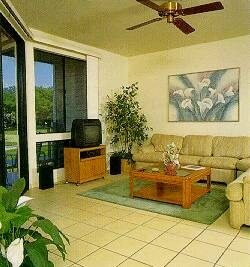 Ft and accommodate 4 Guests; Spacious 2-Bedroom/2-Bath Maui Condos that are approximately 1400 sq. 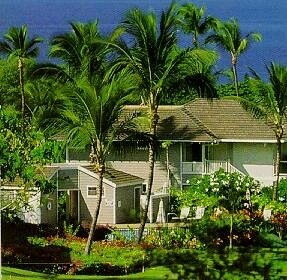 ft and sleep 6; Or Expansive 3-Bedroom Maui Vacation Condos that are approx. 1800 sq. ft. and accomodates up to 8 people. All Linens & Towels Provided.